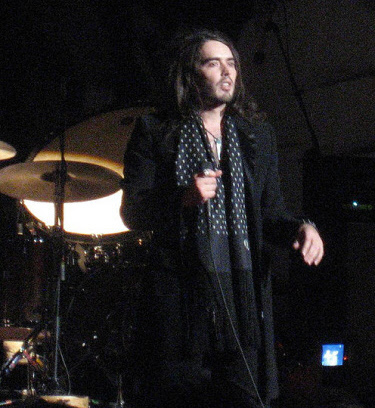 Actor, journalist, author, comedian and radio and TV presenter Russell Brand is well known for his flamboyant and outrageous style, and his career has been far from uncontroversial. Having achieved mainstream recognition presenting the Big Brother spin-off Big Brother’s Big Mouth, Brand became known for his Radio 2 show, from which he infamously resigned following complaints about prank phone calls to actor Andrew Sachs. Along with stand-up, Brand is known for his film and TV appearances, and hosting award ceremonies. Here we celebrate some of his best lines. On his looks: I would define my looks as Victorian child catcher – or an S & M Willy Wonka who likes to use a riding crop on his own leg. To a heckler: I, sir, am heterosexual, and one day I will show you the statistics and make you weep. Wondering what to say when meeting the Queen: ‘Are you aware I’m shagger of the year?’ But, stressing his respect for the monarch: When I lick a stamp I do it with my eyes closed. Brand has a string of feature films in development or post-production, including The Tempest and a remake of Arthur. A sequel to his bestselling autobiography, My Bookie Wook has also been released. You can also order DVDs and CDs of his radio show, or Scandalous, the DVD of Brand live at the O2 Arena. Image used is from Wikimedia Commons and thus is either; in public domain or freely licensed.